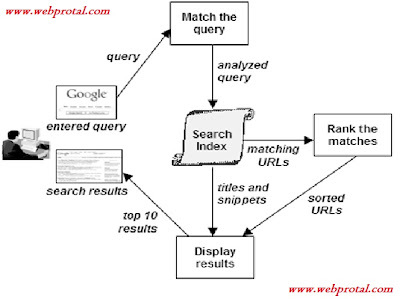 Today we show How a search engine works. Here I will not go ondetail, But a breif description on this. Hope you Enjoy and learn something. There are many search engines on the world of Internet. Top on them Is Google. 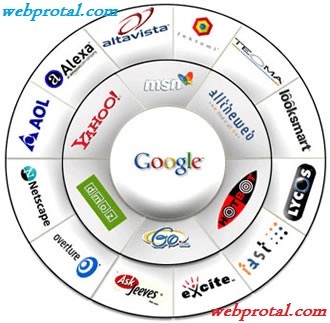 Search engine:- Google, Bing, Yahoo, AltaVista, Excite and many More. Later on We will learn How Google works? What happens when a searcher[users] enters keywords? – Search engine also stores other information. The search query is everything that the user types to get results which is made up of one or more search terms, plus optional special characters. ●Then check the Spelling on the Query. ● Checks the search operator [e.g. putting IP: ip address] for searching the Ip of sites. ☛ Next It match the query presents on its database [SERVER]. After then It match the query with all the data that have been Crawled by it. ☛ The Results are sent to the Index Server where it is indexed that which query should be displayed first on the searched results. ● This results is made by the rank of the page, which is known as PAGE RANK. ☛ After all these process finally ther required results displayed on your srceen. ●All thses is done within a seconds only and it gives you the results what you wants. Next post will be on Google. Stay tuned.